Statistics rarely inform the outcome of a game, let alone the success or disappointment of an entire season. It’s that age-old, “you still have to play the game,” way of thinking. 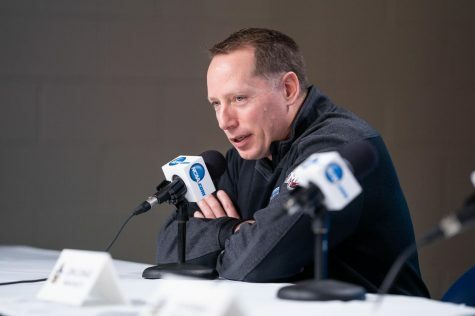 However, the Massachusetts hockey team, despite losing on back-to-back nights Friday and Saturday against UMass Lowell, can actually look to one particular number to explain the team’s success since the turn of the new year. 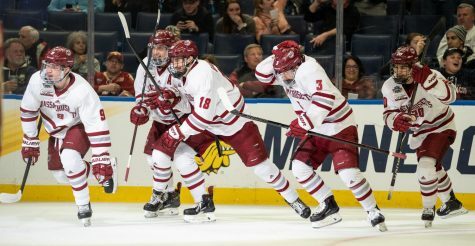 UMass (9-10-5, 5-8-4 Hockey East) is 3-2-1 now since the calendar turned to 2012, taking two games against Vermont, as well as one over then-No. 4 Boston College at home. 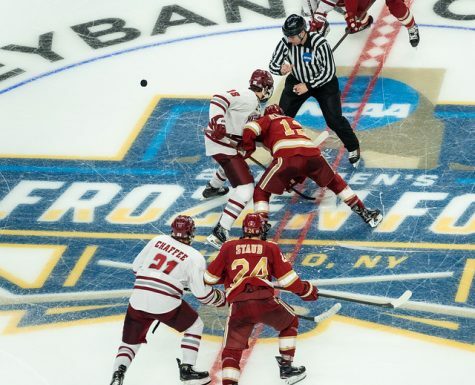 The key to the Minutemen’s recent turnaround: success on the penalty kill. On the surface, penalty killing is just another part of the game, another small piece to the puzzle. 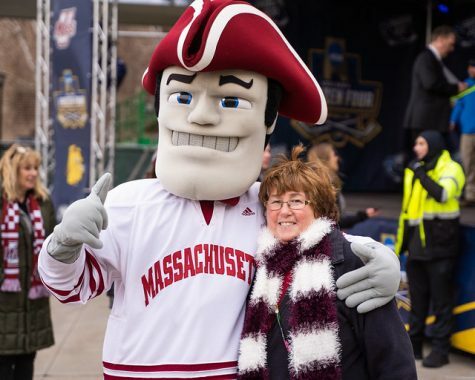 Not only has the team’s recent change of style translated into important conference victories and points, but also its success makes the argument that, if the Minutemen are able to kill those crucial penalties late in games they have lost earlier this season, UMass could have a more impressive record. 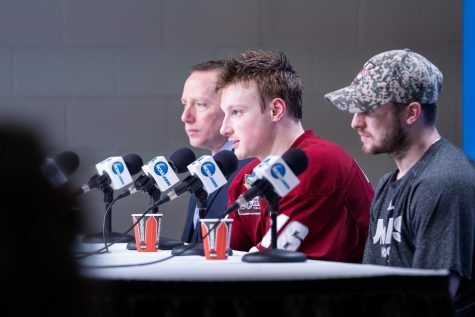 “Although we did a good job killing penalties, [penalties later in the second period] really changed the mentality of the team,” said UMass coach Don Cahoon following Friday’s loss at home, the first for the Minutemen this season. 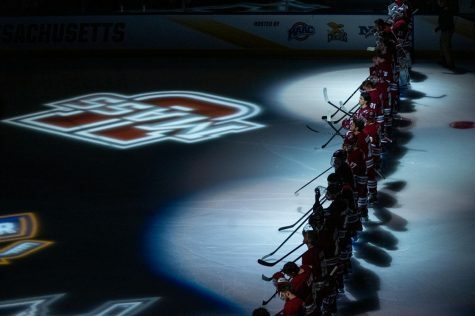 Against Northeastern (Oct. 7), and Boston University on back-to-back nights (Oct. 28 and 29), UMass, committing penalties late in contests with one or two-goal leads, couldn’t hold on to them. The Minutemen went 0-1-2 in those three games. 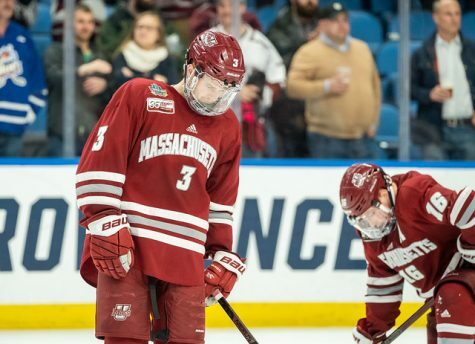 Although Cahoon said Friday’s loss was a “lost opportunity,” penalty killing has made the difference for UMass as of late. Still, penalty killing comes and goes, just as any trend. When they were unable to kill those crucial penalties and the opponents have scored off mistakes, the Minutemen have run into trouble. Only time will tell if the team can rebound and get back on track. Just when one would have thought the goaltending carousel had come to another short stop, it has kept on spinning. After three consecutive starts in net for goaltender Steve Mastalerz, sophomore Jeff Teglia manned the pipes for UMass on Saturday. Teglia made 24 saves for the Minutemen on his way to his fifth loss of the season. Teglia’s last start for the Maroon and White before Saturday was Jan. 7 against the Catamounts at Fenway Park. He stopped 24 shots on his way to his first career win. Before Saturday’s affair, Mastalerz held a tight grip on the job, defeating the then-No. 4 Eagles, helping him to receive another start. Fellow freshman Kevin Boyle once again held the reins for a period of time, stringing together five-straight starts (Dec. 2-Jan. 5), while also defeating then-No. 1 BC back on Nov. 5 in just his fifth career start. Mastalerz was sidelined to start the season with a lower body injury. 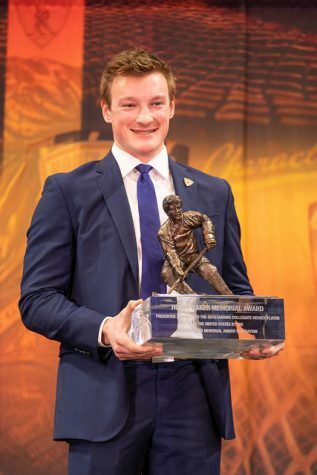 After this weekend’s results, count on Cahoon to continue to mix it up in net. As the season comes down to the critical games that will decide the conference standings, having three, fully healthy guys to man between the pipes may mean all the difference. Scott Cournoyer can be reached at [email protected] and followed on Twitter @MDC_Courrnoyer.